Skate One manufactures and distributes a full range of concaves, shapes, sizes, and graphics, guaranteed not to delaminate during the useful life of the skateboard. Custom designed and fabricated AirLam™ low pressure air bladder presses are used to laminate 7 plies of the finest grade American, hard rock maple, with high strength, water resistant glue. Each deck is then sealed against moisture with a water base acrylic semi-gloss finish. Silkscreened decks are given an additional coat of clear acrylic to add additional protection to the multi-layer ink coating. Mini Logo®, Powell Golden Dragon®, Positiv®, and Powell-Peralta® Mini decks are made the same way we do in Santa Barbara but with our partner in China. Our product offering includes skateboard decks suitable for men, women, boys and girls of all ages, experience levels, and styles of skateboarding. 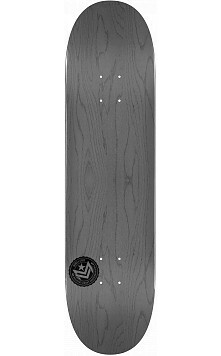 Whether you're looking for the best classic re-issue, cruiser, funshape, longboard, mini, street or skatepark style skateboard deck, we have you covered.